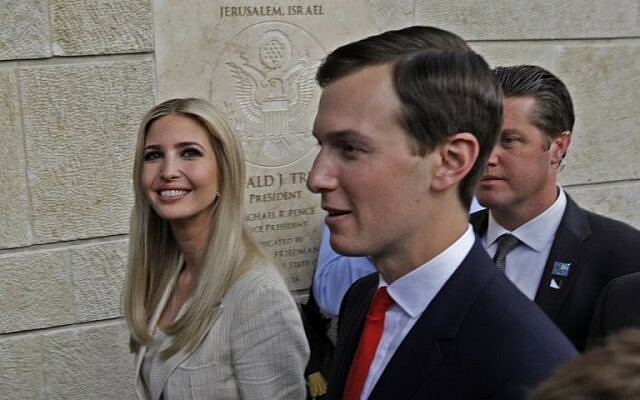 WASHINGTON – Jared Kushner’s Middle East peace plan once included a massive land swap proposal in which the Palestinians would get Jordanian land and Jordan would get Saudi Arabian land, according to a new book by an investigative journalist released Tuesday. 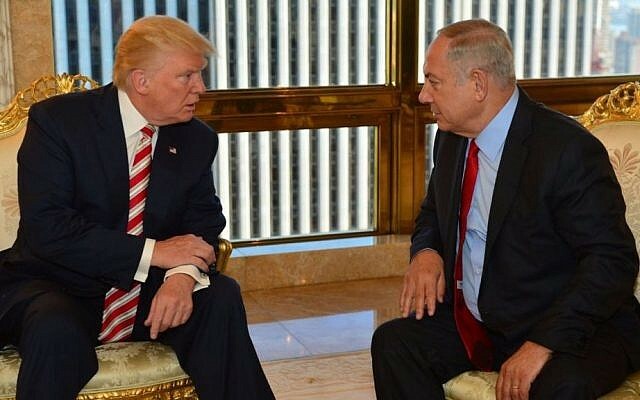 In an explosive chapter detailing US President Donald Trump’s first foreign trip — in which he visited Saudi Arabia, Israel and the Vatican — British-born author Vicky Ward wrote that Saudi Arabia was meant to play a critical role in Kushner’s Israeli-Palestinian peace efforts, including through relinquishing its own territory and helping to revive Gaza. “Saudi Arabia was… the key to Kushner’s burgeoning Middle East peace plan,” the book says. “What Kushner wanted, according to multiple people who saw drafts of the plan, was for the Saudis and Emiratis to provide economic assistance to the Palestinians. There were plans for an oil pipeline from Saudi Arabia to Gaza, where refineries and a shipping terminal could be built. The profits would create desalination plants, where Palestinians could find work, addressing the high unemployment rate. After Trump became president, he tasked Kushner and Greenblatt with leading the diplomatic efforts to forge an Israeli-Palestinian peace agreement. 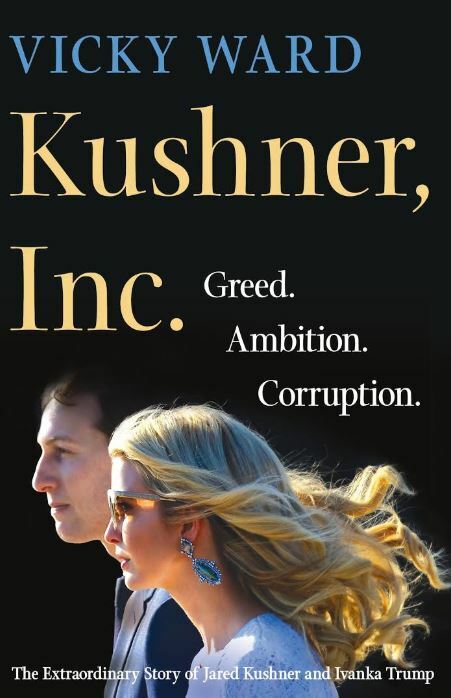 The cover of “Kushner, Inc.” by investigative journalist Vicky Ward. The revelation is contained in the book, “Kushner, Inc.: Greed. Ambition. Corruption. The Extraordinary Story of Jared Kushner and Ivanka Trump,” which was published Tuesday and challenges the view that the president’s daughter Ivanka Trump and son-in-law Kushner are moderating influences in Trump’s orbit. In reality, Ward asserts, they’ve been fueling the chaos for which the White House has become notorious. They’ve made fierce enemies with other White House officials, such as former adviser Steve Bannon, former economic adviser Gary Cohn and former secretary of state Rex Tillerson, the book says, adding that Kushner urged Trump to fire the ex-head of the FBI James Comey, a step that stunned Washington and ultimately led to the Robert Mueller investigation. While Kushner is widely regarded as influential across a range of issues in the Trump White House, “Kushner, Inc.” chronicles his involvement with the Israel portfolio going back to the campaign, when he helped draft then-candidate Trump’s speech to the 2016 AIPAC Policy Conference. 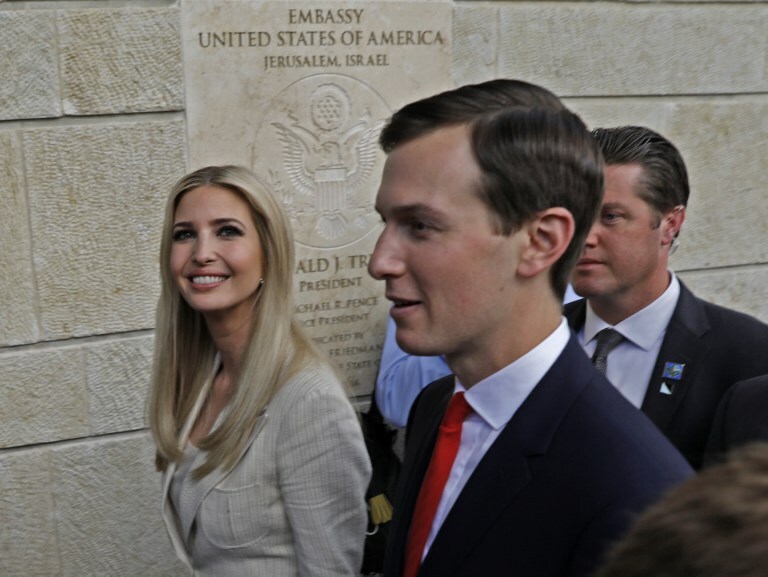 Kushner’s family’s relationship with Prime Minister Benjamin Netanyahu made him a useful conduit between the campaign and Jerusalem, Ward asserts. 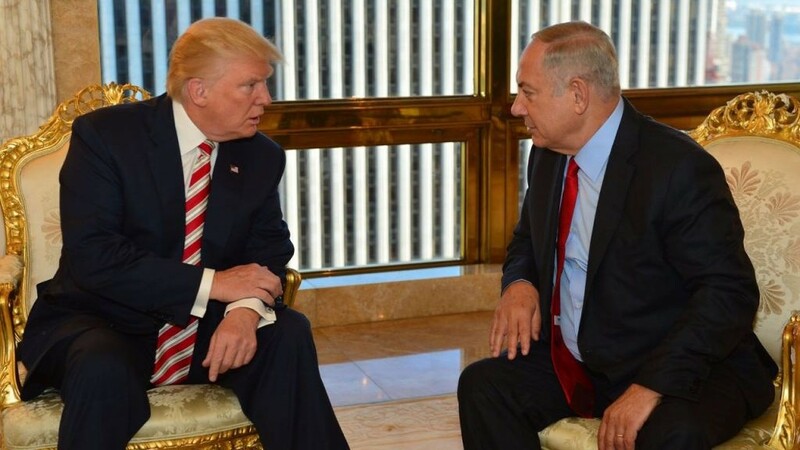 The two ended up meeting in the fall of 2016, when Netanyahu came to New York for the UN General Assembly and he met with both Trump and his opponent, Hillary Clinton. Netanyahu, Dermer, Trump, Bannon and Kushner were all present at the meeting, which Trump later thought went swimmingly. Ward quotes an anonymous source who was at the meeting as saying that Trump allowed Kushner to speak freely, as he believed Israel was one of the few issues on which the young man had substantive knowledge.